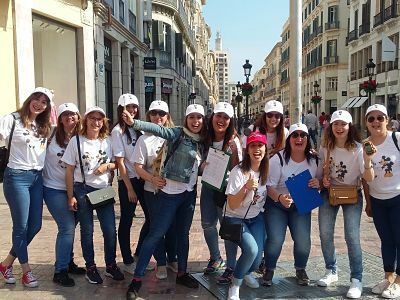 Unique tour experience in Malaga. Interactive Treasure Hunt with your friends around the city centre! "Very happy, great fun, well organized. Highly recommended !" Personalized Treasure Book (final present for the Hen-Groom). Special Fun Game according to your preferences. Customized Hen-Stag party adventure is available now in Malaga! 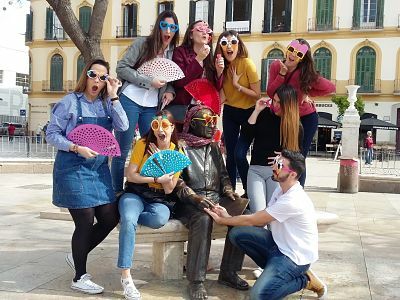 Your group will go on a secret, interactive mission on our famous City Treasure Hunt or our Mystery Murder Challenge while exploring the beautiful sights of Malaga and corners off the beaten tourist tracks. On your private GPS Treasure Hunt - Scavenger Hunt you will look for hidden clues and solve fun riddles. How to customize the Treasure Hunt? You can provide us with photos and fun stories which will be included in your Personalized Treasure Book. We include fun Hen Do and Stag Party games: For example hidden magnetic boxes containing "truth or dare" (we only include games according to your preferences & wishes). 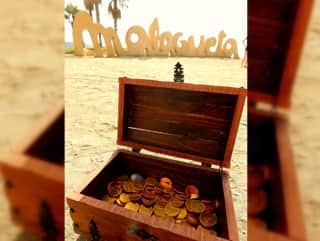 We will welcome the bride/groom at the final station with her/ his favourite song and include a very special and personal treasure at the end of your Malaga adventure. You also can let us know if you want to include something particular. 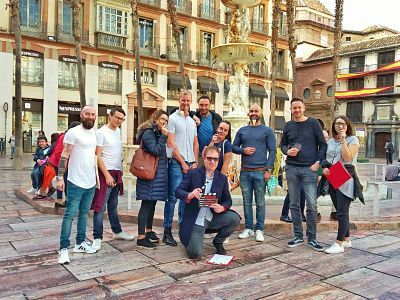 There is no better way to discover and fall in love with this beautiful city than this City Scavenger Hunt in Malaga! Fantastic activity for families & Friends. No need to hurry during the tour. Perfect introduction to Malaga for first-time visitors. For groups more than 8 people, it is possible to devide a big group into small teams, so they can go on a competition.